DOES YOUR "buy now" BUTTON FEEL LIKE THIS? You create & design your rider-specific or custom bike. You pick up your dream bike & ride. Rocket Bikes proudly carries Alchemy Bikes, Argon 18 Bikes, BMC Bikes, Factor Bikes and Wilier Bikes. A new bike is closer and within reach than you think. Rider-specific - From your fit-first appointment we will help you shop our bike lines to find the best stock frame that works for you. Stock bikes offer a variety of stack, reach and head tube measurements. Because of the variety of stock frames, we want to use the initial fit session to add-on the correct sizes for handlebars, stem length, stem pitch, spacer stack and more. With your budget we will help you find the right group-set from SRAM to Campy to Shimano. We will help you select the correct gear-ratio for the type of rider you are and for the terrain you will be riding. Wheel options can also be an important choice whether you are climbing or riding/racing flat course. Some stock frames even offer custom paint. Our rider-specific complete bikes start at $2900. Custom is your next level. Alchemy offers a variety of frame styles from stock to custom geometry that is exactly how you want to ride. Your custom bike frame can be built specifically to how you want your bike to respond. Do you want it to be a stiff ride? Are you wanting to make it the lightest bike you've ever had? It's all up to you. Components are your choice, as well as wheels. Custom paint is a priority so start picking your favorite colors! Custom frames start at $4500. Alchemy creates bikes with titanium, steel and carbon. Going into our fifth season of working with Alchemy, we could not be more happy with their quality product and amazing staff. Through the large but small world of the bike industry and connections, it was a firm hand shake that took Rocket Bikes from a potential partner to confirmed retailer for the Colorado based bike company. Shortly after that firm handshake we built our first titanium Alchemy complete bike. To this day we continue to create beautiful, handcrafted, USA-made works of art. From carbon fiber to titanium and steel, these bike frames should not be overlooked. If you need or want a true, unique USA made bike frame look no further than Alchemy Bikes. When we first met the team from Argon-18 in 2009, their eyes popped open wide when we told them we are from Verona/Madison, WI. “Madison, Wisconsin!” They said. “We would love to get our bikes on one of the most challenging Ironman bike courses in North America”. After a few hours of face to face talking and numerous emails afterward, it was decided that we were a perfect fit for Argon 18. Since 2009, we've helped many athletes perform at their very best on their new Argon TT or Argon road bike. We are also happy to see them sponsoring Team Astana in Le Tour de France. BMC means Bike Manufacturing Company. Straight out of Switzerland their work is meticulously handcrafted with the highest precision. They are hell-bent on creating that ultimate ride experience. What else would you expect from a country that specializes in high-end watchmaking. Whether for road, track, or trail, professional athlete or weekend warrior, it is their mission to produce the best bike in every class. They conduct their own research and development in-house at the BMC Impec Lab in Grenchen, Switzerland and they use the findings to create unique, cutting edge, proprietary cycling technologies that continue to be what makes BMC bikes stand out from the crowd. This is the bike of choice for AG2R La Mondiale for Le Tour de France. Their feather-weight frame offers the reaction and precision you would expect from a world class bike and the comfort to survive a grand tour. 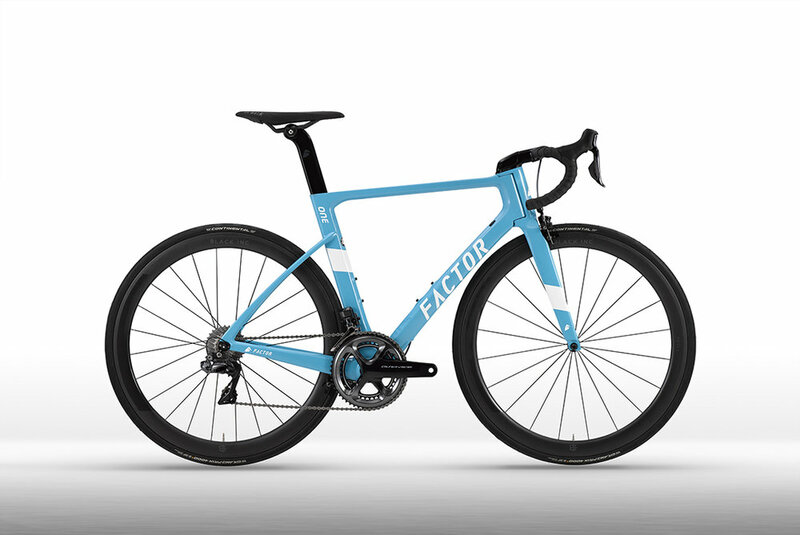 Factor Bikes was conceived from a commitment to innovation, speed and performance through advanced engineering: our soul lives in technology and integration and our heritage is derived from advanced motor sport and aviation. Jump on their Slick Time Trial/Triathlon bike for a fast bike with the handling of a road bike. Or roll around on a One or One-S for a fast, aero yet great climbing bike. Since 1906, their storied past and racing heritage have combined to produce winning bicycles and teams. For over 112 years Wilier has been one of the most renowned Italian brands to date. Wilier creates bikes that are the perfect balance between tradition and innovation. Chat with us on how we can personalize your stock bike frame or complete bike from Wilier Bikes. We'd love for you to be unique and enjoy the this Italian ride!